Why reformer Pilates? What is all the fuss about? Traditional Pilates is practised by millions of people across the world to help improve muscle conditioning, flexibility and balance, and to alleviate lower back pain. Reformer Pilates takes this style of workout to a new level. Instead of a generalised mat class with large numbers, you receive individual attention to meet your specific needs and goals. Each exercise is built around eight principles: relaxation, concentration, alignment, centering, breathing, co-ordination, flowing movement and stamina. There are more than 250 exercises to do, so you will never get stale. The reformer resembles two bed frames joined at right angles, one upright and one horizontal, with cables, springs and a sliding carriage. On this machine you sit, lie, kneel and stand to create a balanced body and strong core. 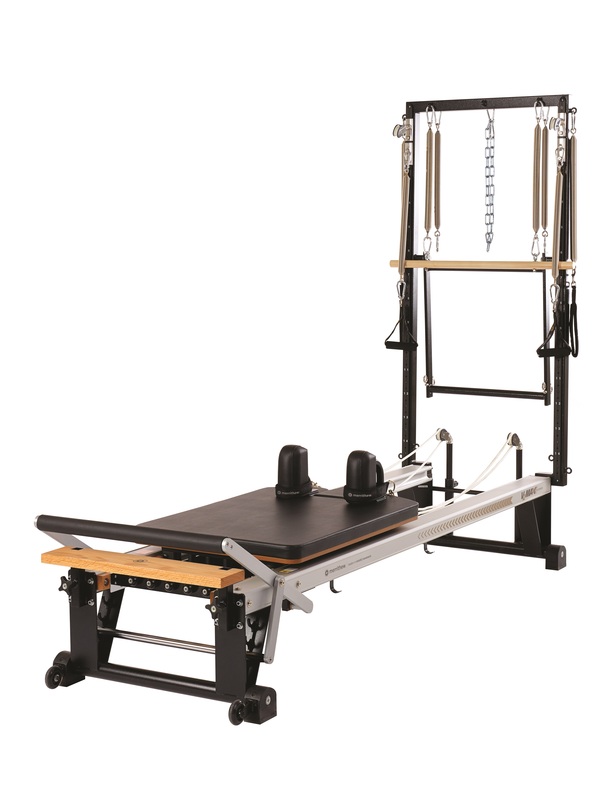 The reformer enables you to progress through various levels of difficulty easily. The springs on the machine can be set to a greater or lesser tension, depending on your fitness level. The bars and straps support you at varying levels, so that they can be used to increase or reduce intensity, depending on the exercise and your position. The pulleys, bars and springs allow you to work against resistance, gaining faster results. As you get more proficient on the reformer, more of your own strength and coordination is used to perform the exercises. The bars and cables enable your body to move through a full range of motion, of which you might not be capable on your own. At first, the reformer might seem quite daunting – but rest assured, after one or two workouts you will realise how versatile and effective it is, and it is great fun! The variety and challenges can often give you the impression that you are flying or gliding! A session on the reformer is an investment in your health and well-being that will enable you to look, move and feel better. Too much sitting in front of the computer, slouched over a phone, or driving all day has a detrimental effect on your posture. The reformer enables you to stretch and strengthen your back, opening and expanding the chest, abdominals and hip flexors, and energising and lengthening the whole body, releasing stress and tension. 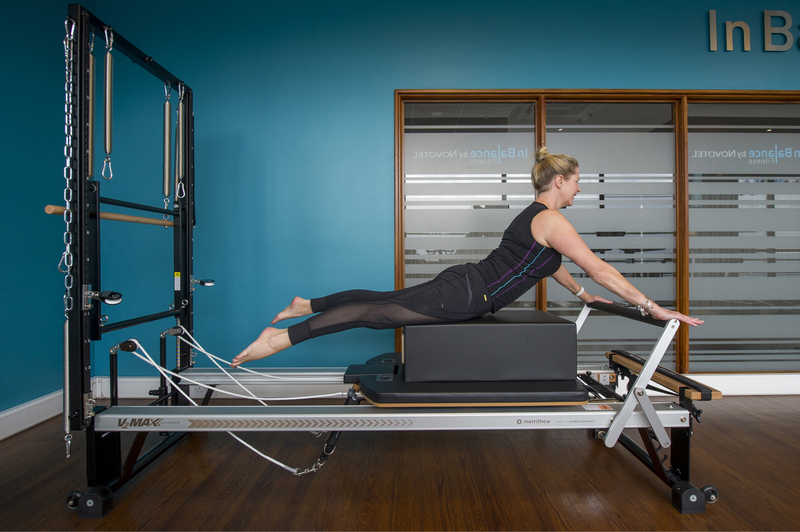 If you are tight or suffer from muscular imbalances, or if you lack body-awareness or are injured in some way, the reformer will help you to feel where you should be in space for each movement. It gives you the appearance of greater length, because you access the full range of motion. As you train you will look taller, slimmer and sleeker as a result of regular reformer work. A study published in 2015, in Women and Health, had women exercise on the reformer for an hour session twice a week, for four months. The result: the women lost from their triceps, waists and thighs and gained lean mass instead. With such commitment, you, too, will grow stronger and fitter and experience a shift in the composition of your body.